Holy Moly! 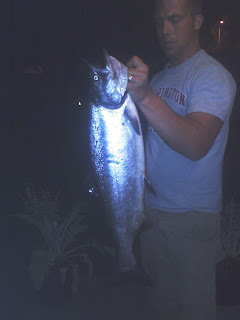 Adam caught an 18 pound King salmon in Commencement Bay. This is the largest salmon he's ever caught! It was mighty tasty! Again, not so blessed with great fish photography.